The bottled in bond trend — which specifies that a spirit must be distilled in a single season, aged for at least four years, and bottled at 100 proof — has made its way to apple brandy. 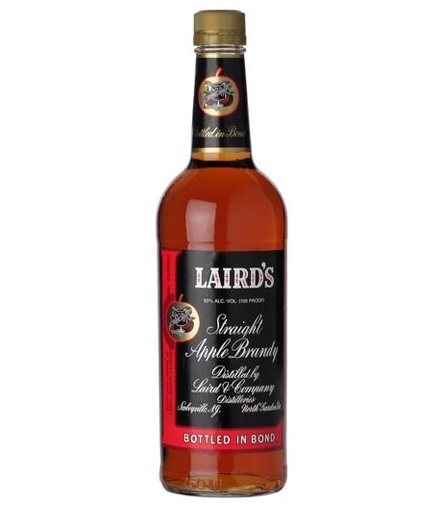 Laird’s is the latest brand to jump on the train, relaunching a bonded version of its iconic applejack which has been off the market for four years. Packaged in an uber-retro decanter that looks straight out of the 1970s, it’s a step back to the past in more ways than one. The nose is clear with apples along with a nutty character reminiscent of walnut oil and a hint of pistachio. Aromatically sharp, the high proof of a bottled in bond spirit is immediately noticeable on the palate, the brandy offering a sharp attack that bites at the tongue. Pushy, slightly musty apple notes dominate, with some pungent petrol notes giving the impression of a young rum. It’s slightly vegetal on the finish, and although that’s not uncommon for apple brandy, what one really wants when sipping on applejack is a bit of sultry caramel to go alongside the fruit.